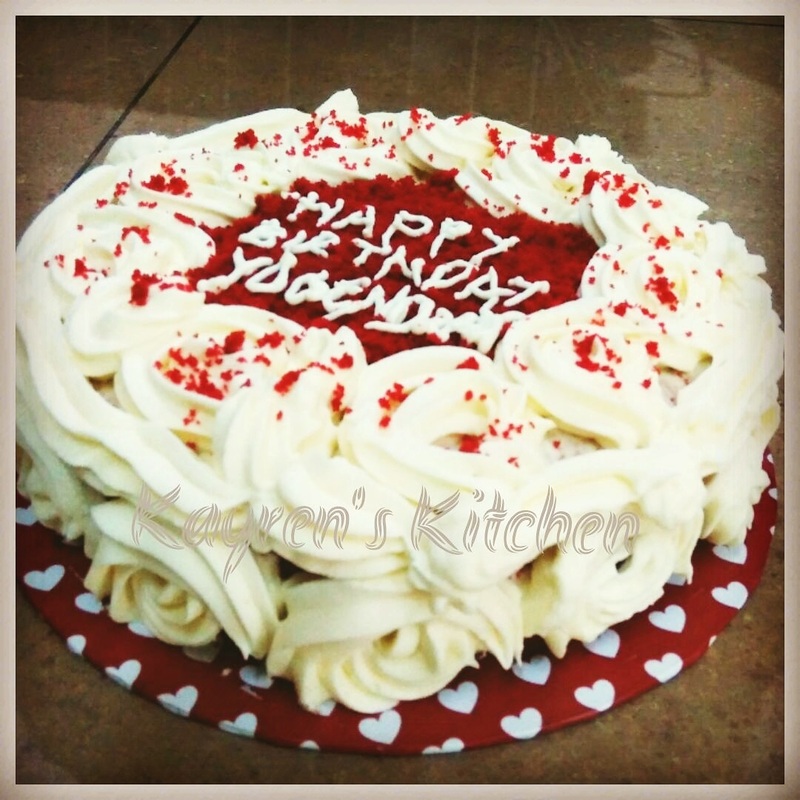 I love red velvet cake with cream cheese!! First I tried it when a colleague brought for a potluck lunch. It tasted like heaven. Then, I always craving for it. So one day I ordered it from her. It was very little but the price was expensive. I was not satisfied eating it. I want to eat it more. I want to order again but when think the price is expensive I always postponed my wish to buy it again. 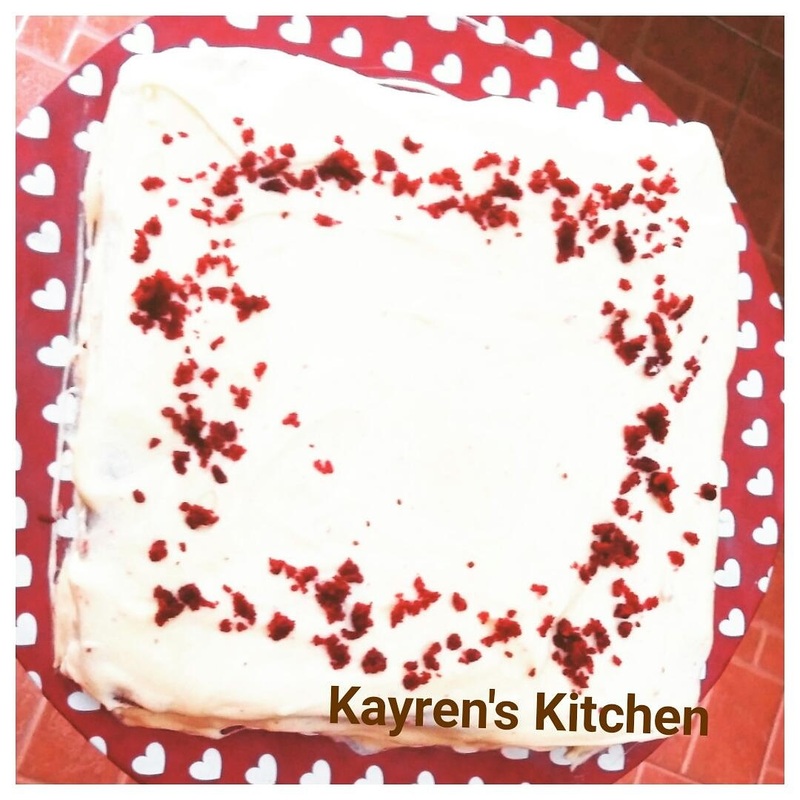 In the meantime, Kayren's Kitchen was formed and it was going so good. And, I got busy with baking so many cake orders. 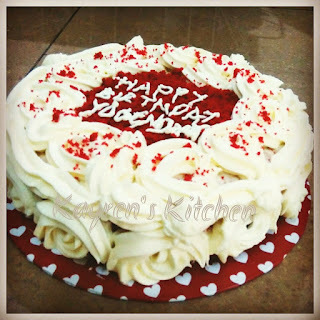 For sometime, I started to think I should bake my own red velvet cake with cream cheese. Then, I make it best taste and I will have more than enough to eat it. 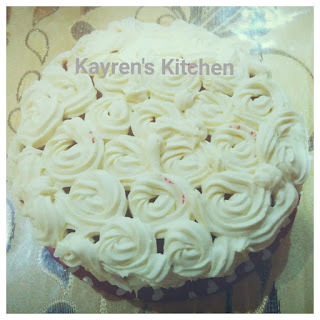 So I decided to bake, but I always postponed with reasons not enough ingredients and tired. Then, one day my cousin called to visit our home. So I thought why don't I bake it tomorrow so they all can eat it. 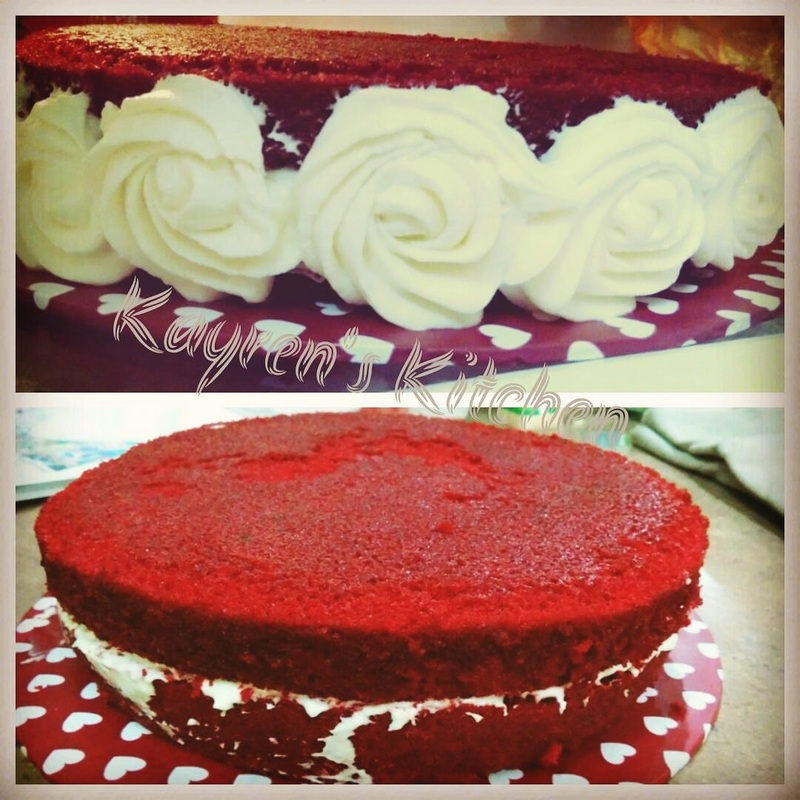 So the next day, I baked this red velvet cake. It turned out very well that my cousin's family and the kids all love it. But, I was still not satisfied. I researched more on how can I improve it and create a foolproof recipe for my red velvet cake with cream cheese frosting. 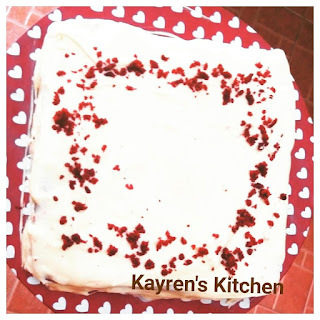 I searched detailed information on each step, each method and each ingredient.